Just want to close the door on your “dirty little secret”? You are not alone. So many people just can’t get organized. It’s not because they are lazy or unable, it is simply not knowing how to be. Someone’s home and or workspace can tell you so much about them. Organizing is a process, not a one day project. These are words to live by or so Amy Marta believes, owner of Clutter Bugs, LLC of Wilmington. With winter just around the corner, the holidays usually mean more stuff. You can get prepared for all that it brings by contacting Amy to help get you busy moms ready for the months ahead. That is where she comes in. Amy has found a way to help her clients lose the overwhelming feelings and get to work. As a stay at home mother of two Amy knew clutter, and had to make organizing a way of life. 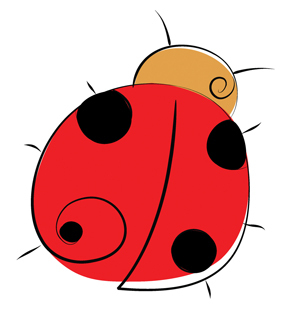 Inspired by her first child Gabriella, Clutter Bugs LLC was born in 2005. 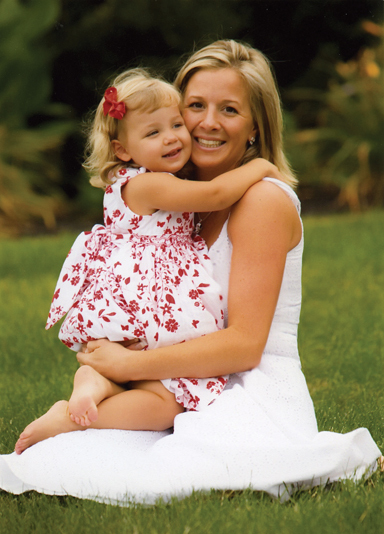 Wanting to remain at home with her daughter but do something she loved, creating her own business was the way to go. Sharing her techniques with her friends had given a client base to Amy, and now her business has grown. There are many resources for reusing and recycling items that you no longer need. Just because it has no home with you doesn’t mean it doesn’t have one somewhere else. Donating to charitable organizations and selling your items either in second hand shops or having your own sale, can really lighten your load, and put a little extra in your pocket. gift certificates make great Holiday gifts and unique wedding gifts!!! 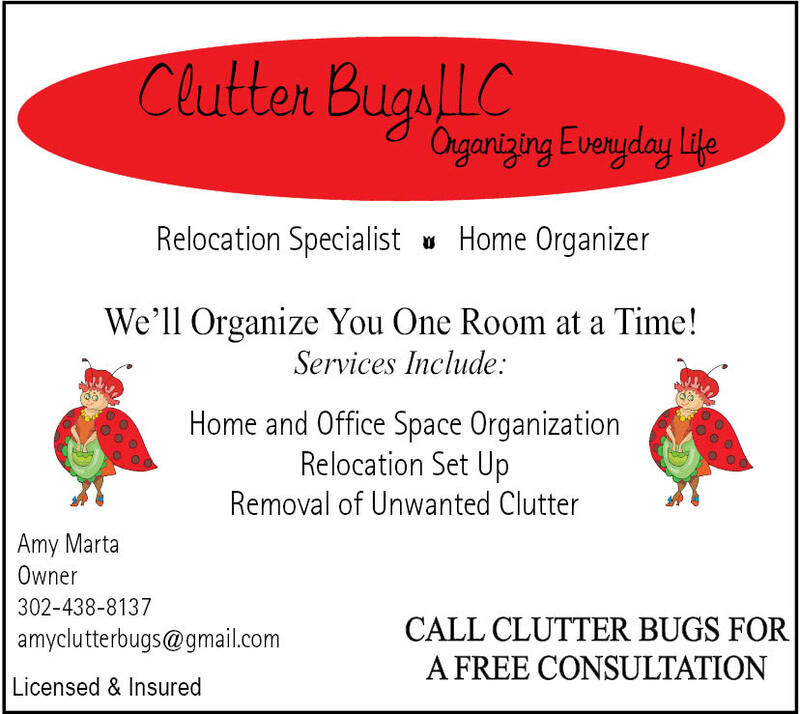 Gift certificates can be bought and sent directly to the recipient from Clutter Bugs, LLC. “Within the last couple of years we had renovated our kitchen in order to have more space, however after the renovation, space was still at a premium and most of our kitchen items did not have a consistent place where they belonged. I was totally frustrated with my kitchen and my lack of usable space! I saw the Ad for ClutterBugs and called Amy and I am sure glad I did. She came out, we discussed our needs, she gave us an estimate, we scheduled the work and when she arrived we finished the kitchen in 6 hours!! With Amy, you work as a team –she pitched in and helped sort and clean. She took items that I did not want with her and by the end of the day it looked like a different kitchen! It has been about 2 months and surprisingly everything in the kitchen is still organized and has a “home”. “I am so happy with the result of my “de-cluttering” session with Amy. She came over to help organize my kitchen. I felt that things were arranged awkwardly, and I was at a true lack for counter space. She spent many hours with me arranging all of my cabinets and drawers. It was so helpful to have someone help me part with the things I was not using anymore. I was shocked at how many bags of garbage left my kitchen! It was especially nice that Amy took it all with her to be recycled! Amy’s follow-up and professionalism is terrific too. She’s been helping me find an organizer for all of my loose papers that accumulate in my kitchen.